While Elisabeth Moss is enjoying the success of her tv show, she is back on the big screen with her new film ‘Her Smell’. She attended the premiere during the 56th New York Film Festival on Saturday(September 29th). 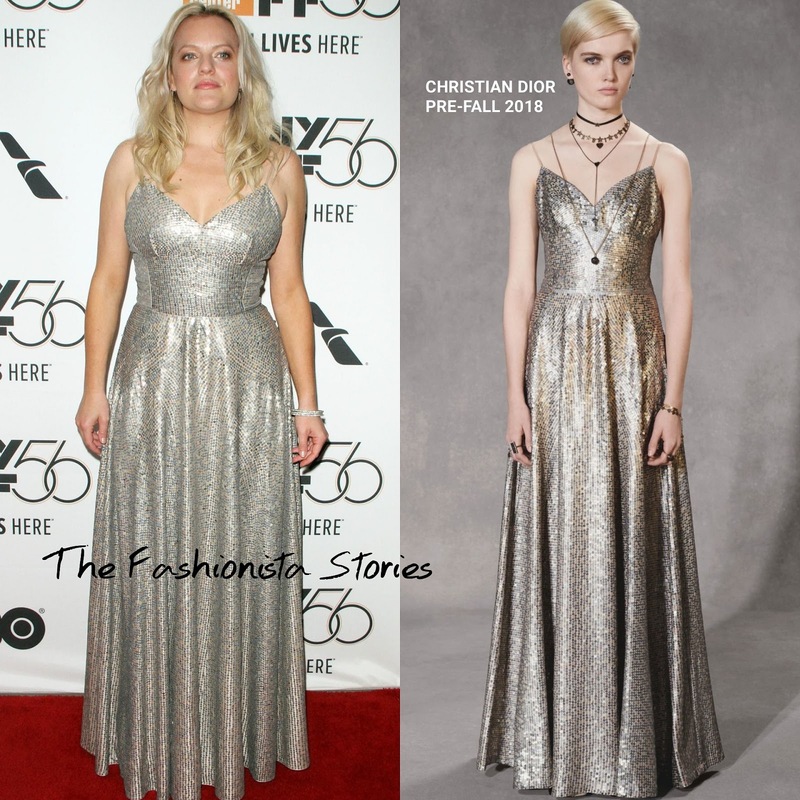 Turning to CHRISTIAN DIOR, she wore PRE-FALL 2018 sequin v-neck, floor sweeping dress. If this dress is giving you deja vue, that’s because Olga Kurylenko and Melissa Benoist wore versions of the dress already. While the dress works for the occasion, I feel there are fit issues with the top. Also a colored lip would have been a nice addition. GIUSEPPE ZANOTTI sandals finished up her look. What do you think of Elisabeth’s look.